Luang Phor Derm is one of the greatest guru monks in Thailand. He was born in 1860 (BE 2403). He has helped to develops many temples in the province as well as the neighboring province. In the 1920s, there were still a few village abbots skilled in handling elephants in musth. Luang Phor Derm kept many elephants to carries him wherever he goes, he had a special knowledge’s to detect elephants' mind and to communicate with them. As a preceptor, Luang Phor Derm was often invited to many temples to preside over the ordain ceremony. During the dry season, He will go to meditate and beg for rain. Luang Phor Derm sacred Mitmor (magic knives) and amulet has done a great job winning the hearts and respect of the people across Thailand. 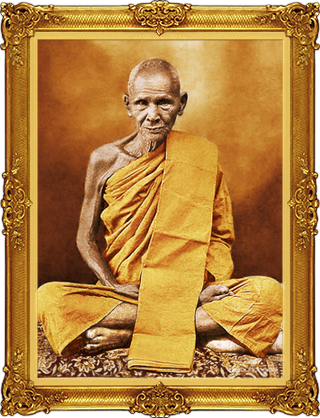 Luang Phor Derm passed away in 22 May 1951 (BE 2494) at the age of 92.